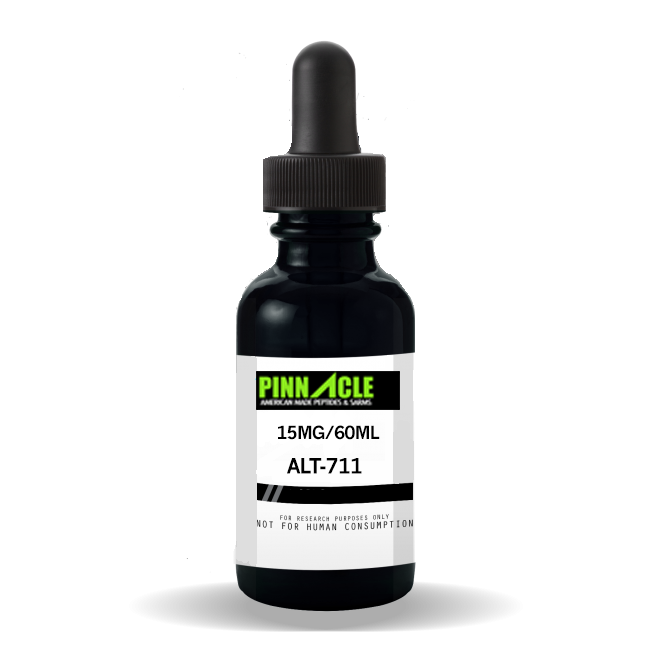 ALT-711 or Alagebrium chloride is a chemical formulation involved in the treatment of oxidative stress. Oxidative stress incurs an aging effect on the condition of our heart in our daily lives. The studies performed in this regard involved the use of aging rats. The effect of this chemical was witnessed in the form of cut in advanced glycation products and mitochondrial DNA deletion. A significant activity of enzymes named superoxide dismutase and glutathione peroxidase was observed as a part of the study. When used in long term, this chemical can be used for beating the aging effect of oxidative stress on heart and therefore forestall the event of cardiovascular diseases. ALT-711 can be used on a regular basis by cardiac patients for improving the healthy state of their heart. Bulk orders of this formulation can be purchased for a cheap price through the exclusive Pinnacle Peptides website. An abnormality in the metabolism of glucose leads to the production of advanced glycation end-products (AGEs) which in turn affect the functioning of heart. These end-products induce a reversible form of damage into the cells and tissues of several organs and are therefore responsible for the development of several disorders. Exposure of our body to the effects of AGEs can be reduced by opting for regular use of ALT-711 and changing dietary habits. Change in dietary habits call for the discontinuance of consumption of high-fat junk food. The comparison of diets on heart's state was studied on mice by researches. According to the studies, a raise on the accumulation of intramyocardial lipid and inflammation of cardiac tissues was witnessed. After the regular feed of this medication, the rats showed a considerable improvement in the cardiac state. For confirming the effect of ALT-711 on cardiac vessels, a similar study was performed on rhesus monkey. These monkeys were administered 10 mg/kg injections of this formulation for a month. An incremented level of laxity was witnessed in the blood vessels along with increased rate of blood flow to the heart. Increased oxygen supply to the heart helped in beating the effect of oxidative stress. The beneficial effect of the treatment continued to stay for a long time after the study had gotten over. For reinforcing the effects of this therapy, animal subjects were kept on a low-fat diet. This formulation can be beneficial in the cases of hypertension too. The products we offer are intended for laboratory research use only. In purchasing any of these items, the customer acknowledges that there are risks involved with consumption or distribution of these products. These chemicals are NOT intended to use as food additives, drugs, cosmetics, household chemicals or other inappropriate applications. The listing of a material on this site does not constitute a license to its use in infringement of any patent. All of the products will be handled only by qualified and properly trained professionals. All customers represent and warrant that through their own review and study that they are fully aware and knowledgeable about the following: Government regulations regarding the use of and exposure to all products. The health and safety hazards associated with the handling of the products they purchase. The necessity of adequately warning of the health and safety hazards associated with any products. Pinnacle Peptides and www.pinnaclepeptides.com reserves the right to limit and/or deny sales of products to any unqualified individuals if we have reason to believe that misuse will occur.